Yesterday I saw in tabloids in both the USA and the UK articles relevant to a non-fiction book I read for review (via netgalley) last year. 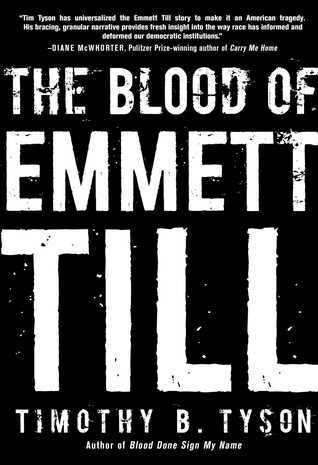 The book was The blood of Emmett Till by Timothy B Tyson. Now I don’t wanna use this blog to lecture anyone about their beliefs of impose mine on others. But I do think books like this are very important and access at colleges, schools and University could serve to broaden many minds. As stated in my review below, I was not alive in this era, nor am I American. But I can see the huge importance of this books message. Emmett Till is a name that I sincerely hope never fades from history and most importantly never fades from history in times where racist rhetoric seems to become the ‘norm’. It is important that we are learn from history or we will repeat the same mistakes. Or in this case we learn from the history or continue to make the same mistakes. Previous Previous post: 2016 read, newly released.